Ep.13: How to Sing Better? Don’t Fight Your Resonance! How to sing better? Don’t fight your resonance in your body as you sing! As you sing higher have you ever felt like your voice was just jamming up tighter and tighter? Or ladies, as you sing lower, have you ever felt like your voice almost completely disappears? These are problems related to resonance moving in your body. 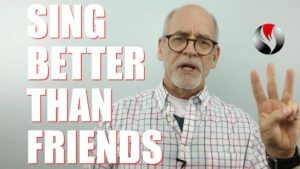 Inside this video I’ll show you how to sing better today by not fighting the resonance. How to Sing Better? Understand Resonance! In terms of singing, what is resonance? Resonance in your body is started by the vibration of your vocal cords. The vocal cords are activated by the air from your lungs. As the air passes by the vocal cords, they begin to vibrate. The vibrations cause sound waves to bounce around in spaces around your vocal cords in your chest, throat, mouth and head. The sound waves cause the air column and to some extent the tissues in the chest, throat, mouth and head to begin resonating. The place where it resonates changes with the pitch of the notes you sing. As you sing low notes, the resonance is mainly in the chest and neck. As the pitch goes higher, the resonance also shifts higher into the neck, mouth and eventually into the head itself. The higher the notes, the higher the resonance shifts upward. We feel the resonance as vibration. Put your hand on your chest and say “ah”. Can you feel the vibration? In most songs the resonance wants to shift constantly. It wants to move throughout the spaces around our vocal cords from chest to head and back down again. But fighting the resonance prevents this natural shifting which equals bad singing. How Do We Fight Against the Resonance? We fight it by over tightening our neck muscles, or by singing too loud, or reaching upward with our necks, and moving the larynx higher and higher..sticking our chins upward. We also fight it by singing so lightly that resonance shifts up into the head, but it’s so light, no one can hear it…nor wants to hear it. Why Do We Fight our Resonance When We Want to Sing Better? Here are 5 reasons for this struggle. We’re not really fighting the resonance. We’re fighting the feeling it’s causing inside. It feels very different. We don’t have this happen when speaking. When it starts to happen when we sing, we panic. It feels awkward…even wrong and so we fight against it, even though we’re trying to sing better! We don’t know what to do. We don’t know how to “let” the resonance shift upward (without breaking into falsetto or straining too hard). Personally, I would just stop singing. I wouldn’t sing songs with high notes. Newer singers don’t know if it’s the right thing to do. They’re not sure if they’re suppose to let the resonance shift. Sometimes they chose songs with notes that don’t move around much, so there’s little shift in resonance. But the songs are boring and they’re not enjoying the full use and qualities of their voices. At the same time the resonance is moving into our heads, our vocal cords are adjusting. There’s a type of “hand-off” in the vocal cords that occurs as the pitch ascends and the resonance moves upward into our heads and back down again. We may be sensing this “hand-off” and our natural reflexes tighten up everything. Teen boys have real struggles with this because their vocal cords have increased in length and thickness in a short period of time. This causes the resonance to rest mainly in their chest. As a result, singing higher feels virtually impossible. It’s definitely not impossible. I’ve helped a lot of young men get back into their head voices. But you’ll will need to be more patient as you learn to deal with your new and deeper voices. Here’s one exercise to address all of this. You’ve seen it before but don’t discount its power. It’s called bubble lips or you can do the tongue trill. I’ll demonstrate with two scales. The 5 tone and the 1 ½ scale (Vocal Demo). How do you make this resonance shift easier for you? Go to PowerToSing.com. Take the PowerTest on the home page. This will help tell you your vocal type. Then go to the Knowledge Center and learn about your vocal type. There’s free mp3 downloads for men’s and women’s voices with multiple exercises so you’ll know how to sing better by making this resonance shift easier! I’m Chuck Gilmore with Power To Sing. You can sing higher, with beauty, confidence and power. 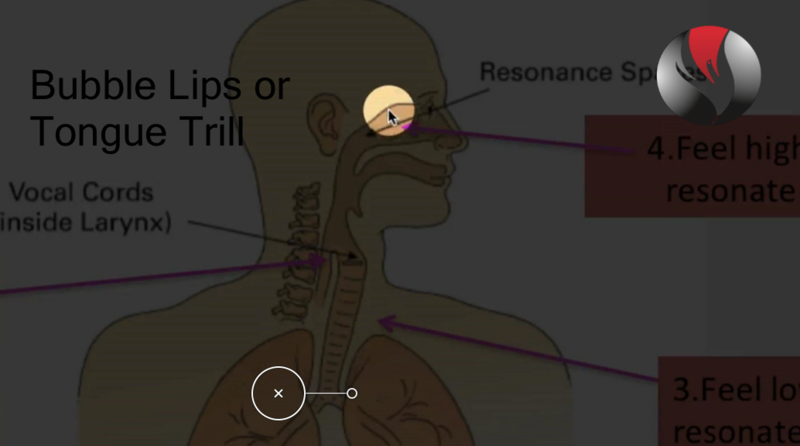 Ep.101: What is a vocal nodule? How can singing cause them? What if you have one?